Don't assume that because you've heard his smash single "Babylon," that you know anything about Brit David Gray. At first listen, the album matches those expectations � programmed drums, keyboards, and a dance-hall beat evoking "Night at the Roxbury" are the fabric of the first two tracks. But first impressions can be misleading. What on earth is going on in my heart has it turned cold as stone? Seems these days I don't feel anything 'less it cuts me right down to the bone. . . It takes a lotta love my friend to keep your heart from freezing to push on to the end. . . my oh my you know it just don't stop . . .
What we gonna do when the money runs out?. . . I'm sick of all the same old answers lost chances . . . How we gonna find the eyes to see a brighter day? An album highlight is "Say Hello and Wave Goodbye", a mellow 10-minute acoustical trip featuring David's best vocals on the album, brushes on the drums, interesting harmonies, and a lyrical tribute to Van Morrison. 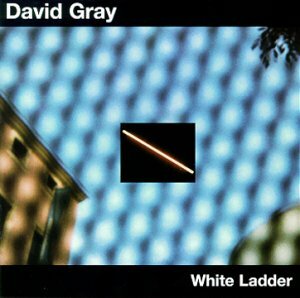 It is clear from listening to this his 4th album that there is more to David Gray than "Babylon".